There are always tons of great things to do in Indianapolis, from the Indy Motor Speedway to the Indianapolis Museum of Art, there, but this city also has some of the best culinary experiences in the entire Midwest! These Indianapolis restaurants will blow you away with their innovative flavors, fresh ingredients, and impeccable service. If you’re planning your next date night in Indianapolis, don’t miss out on the hottest eateries in the area, as selected by O'Brien Toyota. Are you in the mood for Italian? Let Mama Carolla take care of you and your appetite for the night with a trip to this gorgeous Broad Ripple bungalow turned bistro! This gorgeous restaurant has a lovely atmosphere with cozy tables in the dining room and a wonderful outdoor patio that overlooks a nearby trail. Traditional Italian fare like the lasagna and bolognese are hearty options for a main course, but you should be sure to save room for a couple’s desert! Try the Holly’s Homemade Ricotta Cake. A cousin to the classic St. Elmo Steak House, Harry and Izzy’s is a new and fresh option for the Indianapolis foodie. The wine selection is astounding, including hundreds of different bottles from the in-house wine cellar, and the boldly-styled bar is a great place to pick up a perfectly blended cocktail. But the real star of the show is the food. Cracked peppercorn New York Strip and South African Lobster Tail are perfect for a special occasion, but Harry and Izzy’s also has more casual fare like shrimp po boy sliders and Tuscan thin crust pizza. The award-winning Bluebeard was named after a classic Kurt Vonnegut novel, which makes it a great spot for literary aficionados. The venue is an incredible renovated warehouse from the 1920s, transformed into a modern space with an ever-changing menu composed of local ingredients. Start with the homemade bread with anchovy butter and roasted garlic oil, or try a side of wings with cilantro lime crema and Korean barbecue sauce. Then get ready for sensational plates like steak frites with truffle aioli, duck breast tartine with ratatouille, or salmon with brown butter hollandaise! Plan Your Next Date Night Today! If you’re planning to visit some of the best places to eat in Indianapolis, why not make a night of it? Check out the best hotels in downtown Indianapolis that put you close to all the best attractions and restaurants in the area. 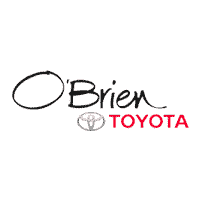 Contact us at O'Brien Toyota today for more recommendations!